World-renowned author offers tips to run a successful drum circle. 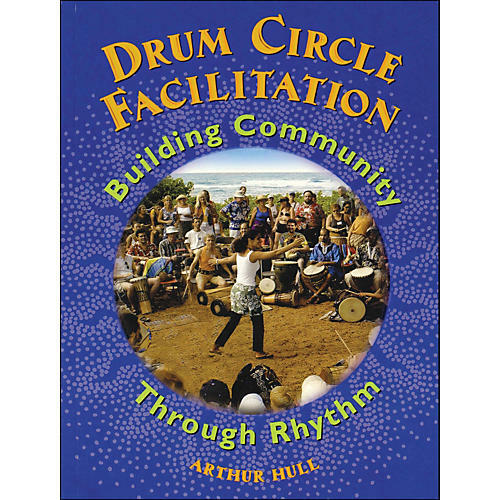 As the popularity for drum circles continues to grow, the need for facilitators increases as well. Written by the foremost authority in this field, Arthur Hull offers his insights, plans and practical strategies to become a facilitator - regardless of your musical background or expertise. This can be used by social workers, store owners, human resource managers, church leaders, camp leaders, nursing home activity coordinators - for anyone who wants to unify a group that will enjoy the benefits of participating in this simple activity. It's about leadership and commnication. The book covers dozens of exercises, instrument suggestions, facilitator's shorthand, interviews with successful facilitators, and even marketing tips on how to promote and expand your events. This is the complete rhythm event facilitation handbook from the expert.